From Zephyr Teachout to Pramila Jayapal to Lucy Flores, these women are ardent activists, deep thinkers, and champions of fundamental reform. Mass movements start in the streets, marching to the steps of city halls and statehouses to speak truth to power. They open up debates, forcing elected officials to think anew and respond to demands for racial and economic justice, immigrant rights, fair elections, real democracy, and peace. Eventually, however, those who are making the demands realize that they can and should be setting the policies. That sentiment is expressed in presidential politics by Bernie Sanders’s talk of a transformative political revolution. And in congressional districts across the country, some of America’s most ardent activists and deepest thinkers are entering the fray. A chorus of new women’s voices could change the House. Teachout began her campaign by arguing that “people remember being part of the process. They can feel it’s breaking. I’m running to take on the political insiders and the corporations and raise up those voices.” An insurgent who challenged Governor Andrew Cuomo in the 2014 Democratic primary (winning 34 percent of the vote and carrying the Hudson River Valley counties), Teachout is expected to face a primary challenge; if nominated, she will certainly face a hard fight with Republicans, who are already attacking her as “a radical” with “a Bill de Blasio–like philosophy.” But in a year that’s likely to see a Democratic presidential nominee winning big in New York State on the fused Democratic and Working Families Party lines, Teachout could be running on those lines as well. That would boost her chances to win the race, which in turn would be crucial in the fight by Democrats to end the GOP’s control of Congress—especially in the House, where Republicans now hold a 246-188 advantage. A Teachout win wouldn’t merely flip a seat from R to D; it would also add a media-savvy, movement-linked Warren-wing activist voice to the House. And Teachout’s might just be one in a chorus of new voices in the chamber. 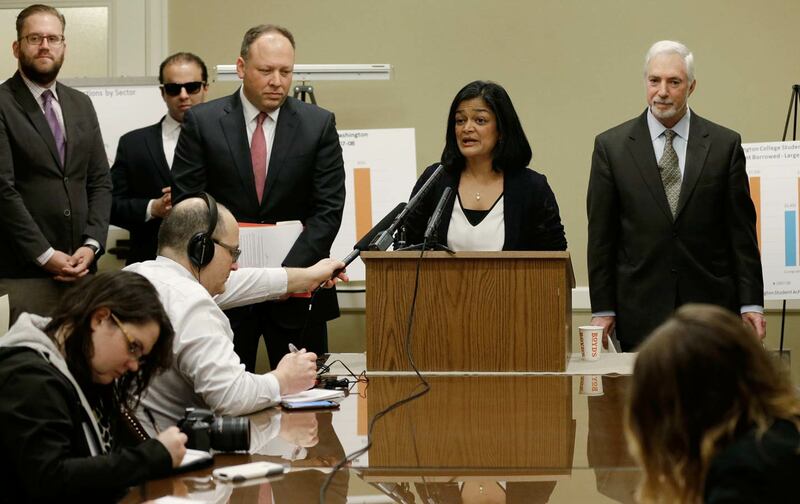 Just days before she announced her run, another veteran activist, Washington State Senator Pramila Jayapal, entered the Democratic race to fill the Seattle-area House seat being vacated by progressive Democratic Congressman Jim McDermott. The truth is that a political revolution, if it’s to have any potential to transform the government and the economy, must involve more than a progressive presidential candidate and a handful of prominent senators. Teachout is right when she says that “Congress is broken.” But it goes beyond that: Politics is broken. It won’t be repaired by business-as-usual politicians, but rather by candidates whose electoral engagement arises less from personal ambition than from shared struggles and a deep involvement with movements and ideas. Every election is a competition for power, and when activists compete for and secure power in order to advance the greater good, that’s when politics can become transformative.